Within Teamwork Projects, you can save changes that you make to a notebook as a new version rather than writing over the existing content. 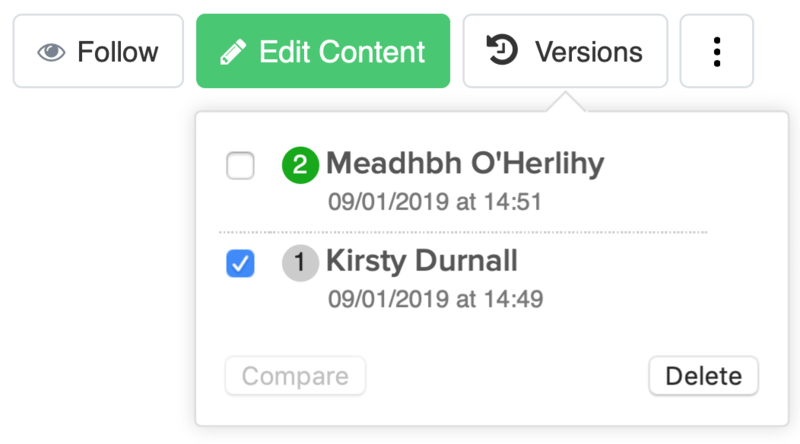 When you are editing the content of a notebook, the option to Save as New Version will be enabled by default. Alternatively, you can select This is just a little change to save the changes to the existing version without creating a new one. When you have multiple versions of a notebook, you will see the version noted on the notebook icon. You will also see the version mentioned under the name on the notebook details screen. To view another version of the notebook, just click the one you want in the list under the Versions button on the top right of the notebook details screen. 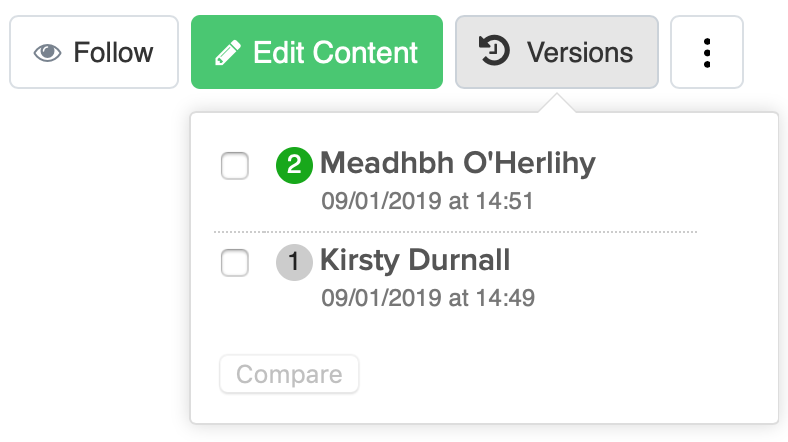 In the versions dropdown, you can select two versions and click Compare to see a view of the notebook with the changes between the versions highlighted. To delete a version, check the box to the left in the versions dropdown and click Delete. The version currently being viewed (denoted in green) cannot be deleted. Note: Unlike file versioning, the comments on notebooks are not shown specifically with the version that they were added to.